As the Oscar nominations were announced today, a number of the films are already getting a big “thumbs up” from the internet. Last weekend, a perfect review copy of Quentin Tarantino’s Django Unchained was leaked online and racked up 500,000 downloads in just 24 hours. The Hobbit, currently the most popular Oscars leak, has more than 2 million downloads to date with a week’s head start over Tarantino’s western. With the Academy Awards just weeks away, January is an exciting time for movie lovers around the world. In the run up to “Oscar Sunday” on February 24, the nominees were announced today following the deliberations of 5,700 Academy members. Some of those voters will have made their assessments from a trip to the theatre but some highly privileged individuals will have received a piece of cinematic gold from the studios – access to pre-release copies of all the top movies “for their consideration”. The industry has worked very hard indeed to keep movies from leaking onto the Internet so these early copies are handed out amid tight security. The availability of a dreadful “camcordered” copy online is annoying enough but a perfect digital copy is a nightmare for the studios. To this end, while physical DVD copies still appear to be issued, these days so-called “screeners” are also distributed to Academy members digitally. However, it appears to very make little difference what kind of security measures are put in place, movies still leak online. As 2012 entered its final months the tell-tale signs that screeners were being sent out became obvious online after they became available on BitTorrent tagged “DVDSCR”. Billy Bob Thornton’s Jayne Mansfield’s Car appeared online in October 2012 followed by thrillers “Citadel” and “The Sweeney” in November. With Christmas round the corner, December certainly delivered the treats. “The Perks of Being a Wallflower” starring Emma Watson, Denzel Washington’s “Flight”, “Lincoln” from veteran Steven Spielberg, and James Bond’s latest outing “Skyfall” all found their way onto the web from screener copies. And in January the bonanza continued. The first new leak of the year, Peter Jackson’s “The Hobbit”, has proven a massive hit with file-sharers. According to statistics gathered by TorrentFreak the fantasy movie has been downloaded at least 2 million times since it appeared on the first of the month. Just three days later and the Osama Bin Laden hunt movie “Zero Dark Thirty” was debuting online, joined on the same day by a copy of Anthony Hopkins’ Hitchcock. This weekend was particularly busy as “The Sessions” made its appearance along with “West of Memphis”, “Celeste & Jesse Forever”, “Anna Karenina” and “Hyde Park on Hudson”. But there was also a very big leak, one that millions of people have been waiting for and could turn out to be the biggest so far this Oscar season. “Django Unchained”, the latest movie from much-loved writer/director Quentin Tarantino, appeared online Saturday and quickly caught fire. 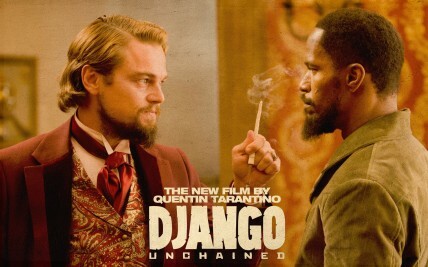 The western, which stars Jamie Foxx, Christoph Waltz and Leonardo DiCaprio, became an immediate smash-hit on BitTorrent. Statistics gathered Sunday by TorrentFreak show that the movie was downloaded at least 500,000 times in its first 24 hours online. And, as an interesting footnote, people wanting to blame these stats on The Pirate Bay will be disappointed. Although it is back online now, the world’s most famous torrent site was offline all day yesterday and played no part in proceedings. TorrentFreak is a technology blog focusing on digital rights and file sharing.